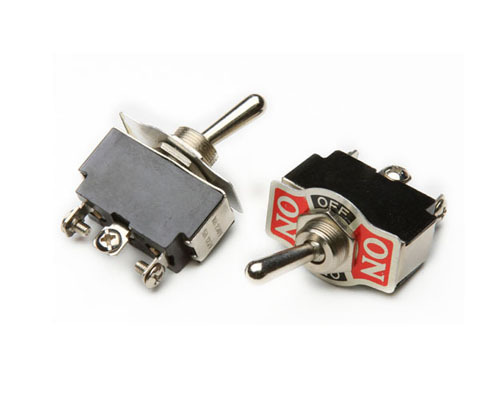 The Switch is widely used in all kinds of instruments / instruments, all kinds of electric toys, fax machines, sound equipment, medical equipment, beauty equipment, and other electronic products.To put it simply, the toggle switch is to connect or disconnect the circuit by toggling its actuator . It has the characteristics of flexible slider, stable and reliable performance, and is widely used in electrical appliances, machinery, communication, digital audio, building automation, electronic products. Looking for ideal Automotive Spst Toggle Switch Manufacturer & supplier ? We have a wide selection at great prices to help you get creative. All the Single Throw Toggle Switch are quality guaranteed. We are China Origin Factory of Power Toggle Switch. If you have any question, please feel free to contact us.